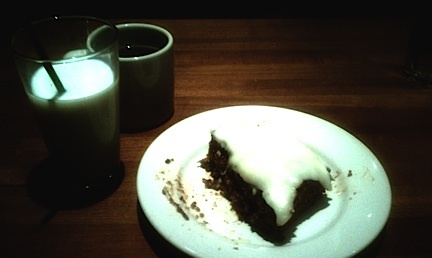 Just had the most delicious carrot cake tonight. Pair that with a tall glass of milk and a hot cup of coffee...it was a thin slice of heaven. My tummy couldn't be happier.